Note: Proof of insurance can be waived for International Renters but they must purchase our Collision Damage Waiver which is $40 per day. 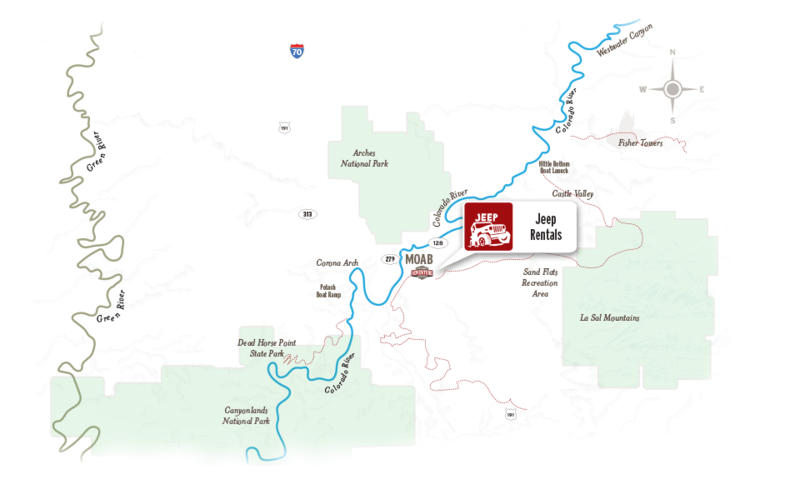 We provide a trail map to get you exploring on the trails that are all fun, and less stress. While so many 4x4 vehicles are more than capable, it is easy (without good direction from a trail map) to get into a situation that is over the driver's capabilities. 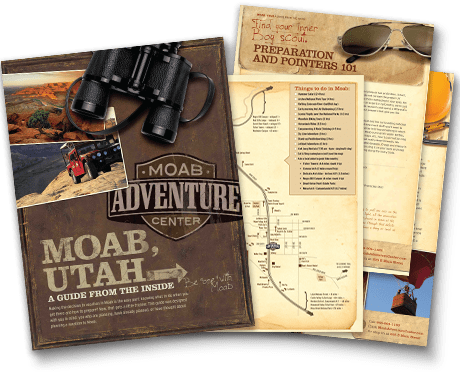 Moab has plenty of trails that are pure fun and spectacle, and don't have to be thrill and spill. 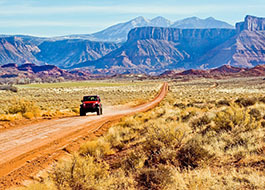 GPS signal monitors in every Jeep means you are never really lost in the back country surrounding Moab. We can locate and come to your aid if needed. 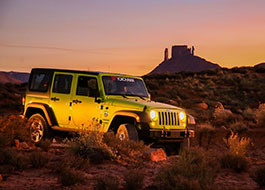 Think of it like OnStar with local Moab 4x4 know-how. Every 4x4 should feel rugged, but it doesn't have to mean you skip the luxuries in the little things like AC, or a heater, or a windshield, or good tunes, or... you get the idea. Four doors, coolers with ice, and the option of an enclosed interior are some of the ways we ensure your experience is all it should be. My wife and I rented a jeep for 3 days in April. The staff was extremely helpful and friendly. The jeep was perfect and handled every trail we went on just fine. If you are going to Moab and want to see the best of it, you have to get off the pavement and get on the trails. You will not regret it. Jeeping Was So Much Fun! During a week long vacation exploring Utah’s national parks, we made a 2 day stop in Moab. 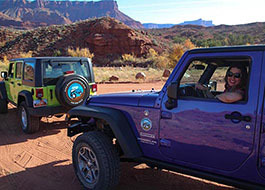 We rented a Jeep Rubicon and 4 wheeled in Canyonlands. It was so much fun; and a new experience for me. They set us up with maps and a plan for the day that gave us some challenges and great scenery. It’s the best way to see this national park. I highly recommend it! 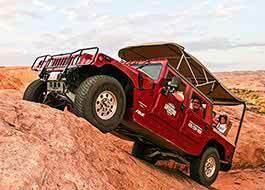 Discover the exhilaration of this incredible off-road excursion in the world's most serious 4x4. 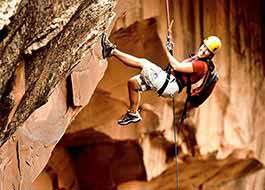 Experience a full day of world-famous scenery, exclusive hot barbeque lunch at a riverside ranch, and mild to moderate whitewater. Raft Fisher Towers to BLM Takeout.